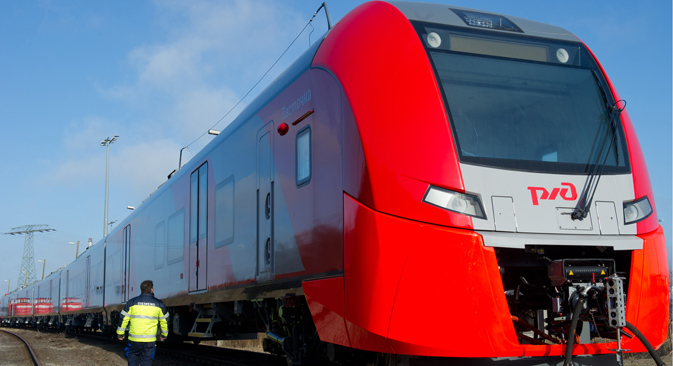 Russian Railways will study the U.N. sanctions draft. RZD waiting for Moscow to declare stance on U.N. sanctions on Pyongyang. Russian Railways (RZD) may be forced to suspend its Rajin-Khasan joint trade logistics project with North Korea, depending on the passage of new U.N. sanctions against Pyongyang for the latter’s recent nuclear test and a long-range missile launch, Yonhap news agency reported on Feb 26. A RZD official told the news agency that it first needed to see the actual contents of the proposed U.N. bill on fresh sanctions against North Korea. The official added that RZD’s future actions would be in line with the Russia's stance on the proposed U.N. sanctions. China has agreed to support sanctions against North Korea. RZD could not be immediately reached for comment by RBTH. South Korea has pulled out of the logistics project, which was initially meant to be a trilateral venture.